Councillor Jane Black was elected to the office of Mayor on Wednesday, 16 May 2018. Her husband Mark, with whom she has two daughters, Elena and Maya, will serve as the Mayor's Consort. "This is a privilege and an honour for which I am very grateful," she said. "We promise that we will carry out our duties to the best of our abilities." 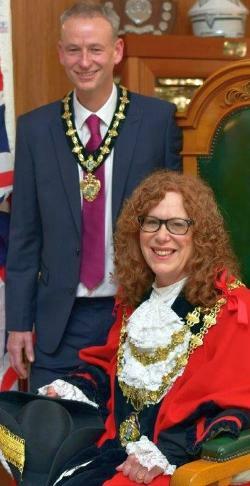 The Mayor was elected to Bury Council as a Labour Councillor in 2012 to represent St Mary's Ward where she lives. She has held a range of positions on the Council, including Chair of Prestwich Township Forum, Deputy Cabinet Member for Health and Wellbeing and Regulation and Resources, and Chair of the Planning Control Committee. 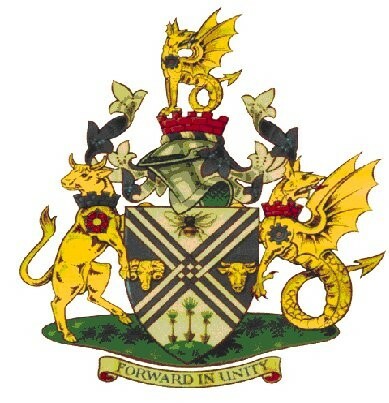 The Mayor grew up in Prestwich, attending Sedgley Park and King David schools, then Stand Grammar (now Phillips High), before studying at Birmingham University and in Montreal, Canada. Starting work for a voluntary organisation, she then spent 23 years as a local government manager in Rochdale, Manchester and Salford, before taking early retirement in 2011. The Mayor is a Governor at Sedgley Park Primary School and has built links with a number of local groups and community organisations. "I have lived in Bury since I was a child, and have the highest regard for people who live here, and all this town has achieved and stands for. Bury people are second to none. And now it's official - this is the happiest town to live in in Greater Manchester, and one of the best places in the UK to grow up." As the eighth Jewish Mayor of Bury, with two sets of grandparents who were naturalised immigrants, The Mayor sees this role as a very personal and moving honour. "The Consort and I look forward in the year ahead to having the opportunity to meet many people from all walks of life and all sections of Bury's diverse communities. We will support local charities, help promote local businesses, community events, schools, colleges, youth groups and as much activity as possible. I will seek to be a Mayor for all the communities of this Borough." The Mayor is the borough's First Citizen. The office of Mayor is the highest honour the Council can bestow upon a Member and reflects a high level of public service and the esteem, respect and regard in which the holders are held. The Mayor holds a position of precedence over all persons within the borough, except in the direct presence of Her Majesty The Queen, Members of the Royal Family or Her Majesty's Lord Lieutenant. During their term of office the Mayor and Consort have adopted two organisations to benefit in particular from the Mayoral Charity Appeal - Grace's Place and the Manchester Jewish Federation. More than 650 children in the Bury, Oldham and Rochdale area living with life-shortening conditions - but the vast majority don't currently get any support from a children's hospice. Grace's Place is changing that and will offer an outstanding level of care and support. Based in Radcliffe, it will open in the coming year. The Fed is the leading social care charity for the Greater Manchester Jewish Community looking after hundreds of people of all ages, at any one time, in their own home or at Heathlands Village. Throughout the Mayoral Year fundraising events will be held and all the proceeds from these occasions will be donated to the charitable causes. If you wish to donate to the Mayor's Charity fund you can donate by clicking the donate button below. Alternatively donations can be made through Golden Giving - Bury Mayoral Charity Appeal 2018/19. The correct description for the purpose of printing is 'The Worshipful the Mayor of the Metropolitan Borough of Bury, Councillor Jane Black' and when the Consort is also present 'The Worshipful the Mayor and Consort of the Metropolitan Borough of Bury, Councillor Jane Black and Mr. Mark Sankey'. Speakers should refer to the Mayor as 'Madam Mayor' and Consort as 'Consort'. The Mayor and the Consort should be met immediately upon arrival and escorted, as soon as convenient, to the places reserved for them. If the Mayor and/or the Consort are asked to take part in a reception prior to the commencement of the function, then the organisers should vary the arrival time accordingly. The Mayor shall have precedence over all persons within the borough except in the presence of Her Majesty The Queen or a Representative of Her Majesty. Accordingly, the place reserved for the Mayor should be on the immediate right of the chair or other person presiding. The Consort should be seated on the immediate right of the Mayor or on the left of the Chair or person presiding. When the Consort is attending unaccompanied by the Mayor, his seat should be in the position as indicated for the Mayor. If the Mayor and/or the Consort are to be asked to speak at any function, particulars should be furnished in advance. 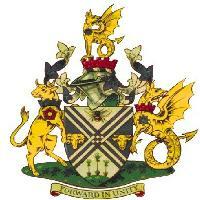 The Mayor welcomes invitations from local organisations to attend events held within the borough or related to Bury. The Mayor's Office may be contacted by letter, telephone or email (details are given below). The Mayor will endeavour to attend all events to which she is invited, but unfortunately, due to the high demand, this may not be possible. A minimum of two weeks' notice of invitations to attend events is requested.